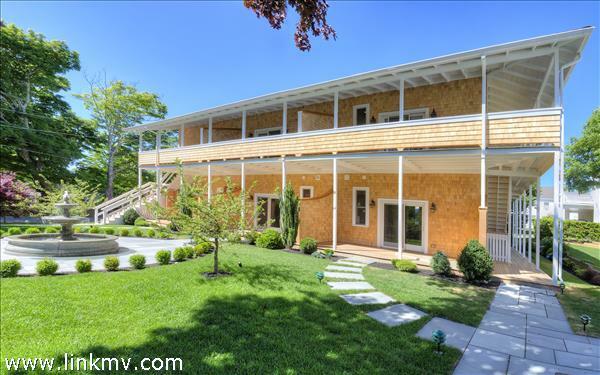 Browse currently listed townhouses and condos for sale in Edgartown Massachusetts below. 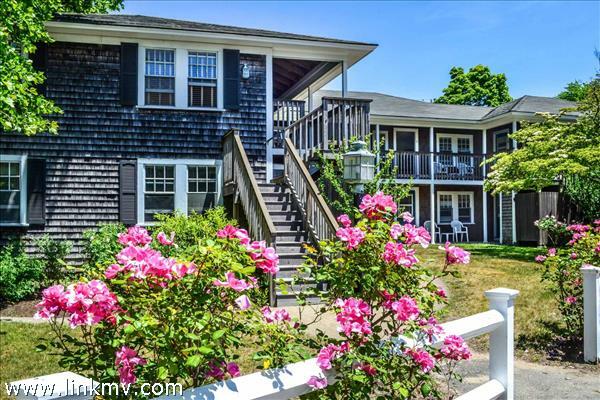 Sophisticated Village Pied-a-terre - The best of the Edgartown Village right outside your door, only one block to Main Street and three blocks to the harbor. Simplify your life with this compact garden level condo that features a stylish nicely equipped kitchen, open design living area and en-suite master. Well appointed with high ceilings, crown molding, wood floors, and a highly sought-after downtown parking space. Outside areas include a front porch and rear deck that overlooks a professionally landscaped courtyard with fountain and bbq area. No restrictions on use and perfect for all seasons. ONE MARINERS LANDING: NEW LUXURY RESIDENCES IN EDGARTOWN. Final completion for One Mariners Landing is underway and this luxurious 2-bedroom, 2-bath residence will be move-in ready by March 1st. The residences at One Mariners Landing feature beautifully designed living spaces highlighted by vaulted ceilings and a sophisticated palette of sea blue OR driftwood gray, highlighted by island whites and golden sand hues throughout. 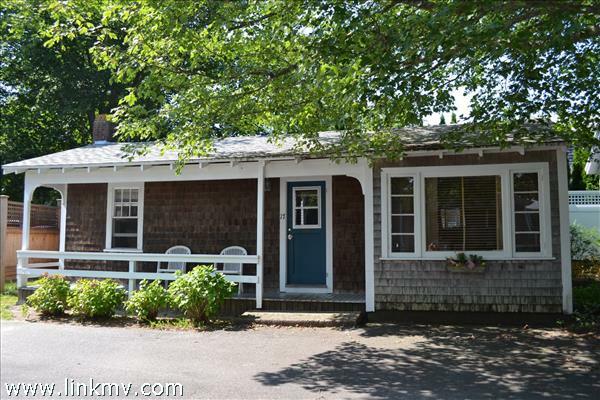 This specific unit is the only condominium that offers a separate office/study (in addition to the two bedrooms) plus a wall of westerly facing windows and access to a spacious outdoor deck. The open-designed living area features gorgeous washed gray wood flooring -- and the living space is anchored around a gourmet cook's kitchen with classic white shaker-style cabinets, beautiful Silestone® quartz countertops and stainless steel appliances (Bosch® or Jenn Air®). The full bathroom features white shaker-style cabinets, Kohler® plumbing fixtures, white subway tile and a tub/shower with Carrara marble herringbone tile accents. Other extras include central air conditioning, custom built-in closets, Intercom, parking and a separate 15'x8' lower level storage space. 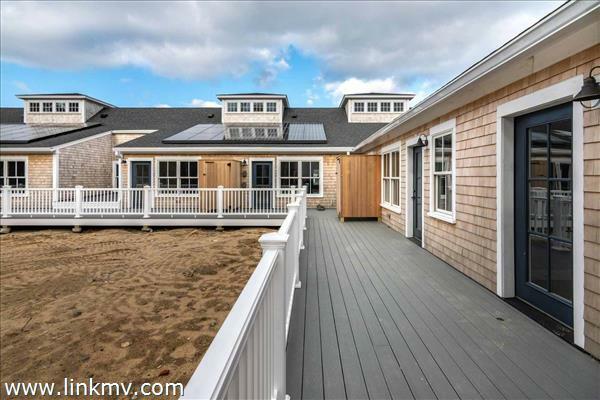 This new generation of luxurious island-style living is within walking distance to Edgartown shops and restaurants -- and is also on the shuttle bus route and bicycle path. Reserve your new home at One Mariners Landing today! NOTE: There are a total of eight (8) residential units available at One Mariner's Landing (comprehensive floor plans are attached). ONE MARINERS LANDING: NEW LUXURY RESIDENCES IN EDGARTOWN. Final completion for One Mariners Landing is underway and this luxurious 2-bedroom, 2-bath residence will be move-in ready by March 1st. The residences at One Mariners Landing feature beautifully designed living spaces highlighted by vaulted ceilings and a sophisticated palette of sea blue OR driftwood gray, highlighted with island whites and golden sand hues throughout. 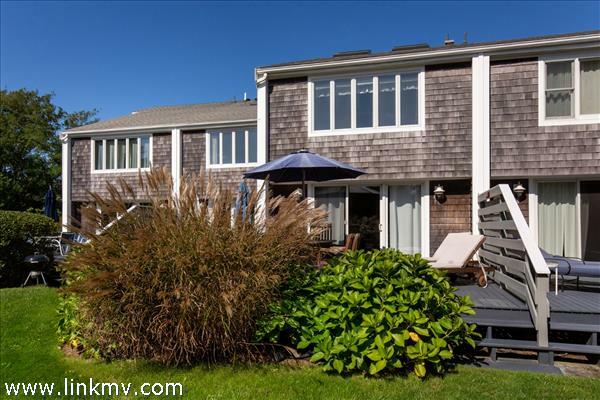 This specific unit also enjoys a wall of westerly facing windows and access to a spacious outdoor deck. The open-designed living area features gorgeous washed gray wood flooring -- and the living space is anchored around a gourmet cook's kitchen with classic white shaker-style cabinets, beautiful Silestone® quartz countertops and stainless steel appliances (Bosch® or Jenn Air®). The full bathroom features white shaker-style cabinets, Kohler® plumbing fixtures, white subway tile and a tub/shower with Carrara marble herringbone tile accents. Other extras include central air conditioning, custom built-in closets, Intercom, parking and a separate 15'x8' lower level storage space. 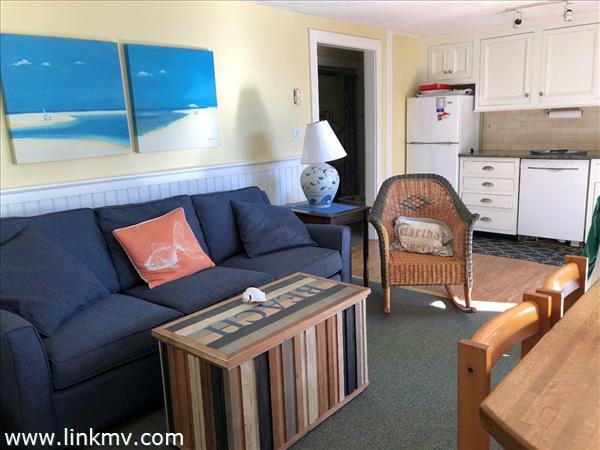 This new generation of luxurious island-style living is within walking distance to Edgartown shops and restaurants -- and is also on the shuttle bus route and bicycle path. Reserve your new home at One Mariners Landing today! NOTE: There are a total of eight (8) residential units available at One Mariner's Landing (comprehensive floor plans are attached). "Beach house meets penthouse" describes this superlative renovation of a 3-level Townhouse at Mattakesett on South Beach. Every inch of this condominium has been renovated to the highest standards, from the sleek custom kitchen to the expanded bathrooms to the top-of-the-line AC system. This is the very few truly turnkey Townhouses to come to the market in many years. 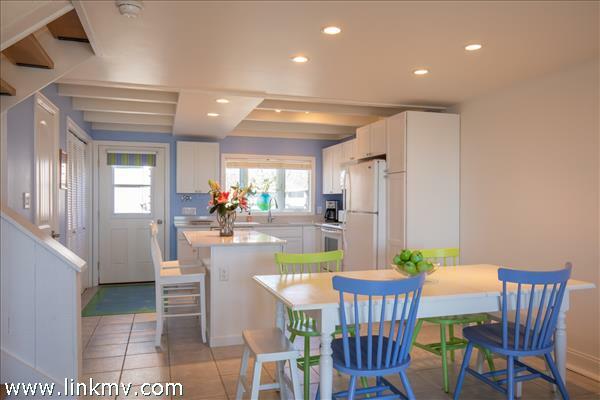 Check out the Photo Gallery to see what an amazing job the owners did on the renovation! When you're not enjoying the Island's most popular beach, which is less than half a mile away, you have access to Mattakesett's resort-caliber amenities, including the tennis club, pools, a gym, restaurants, and the top-rated children's programs. This unit is being offered fully furnished. ONE MARINERS LANDING: NEW LUXURY RESIDENCES IN EDGARTOWN. Final completion for One Mariners Landing is underway and this luxurious 2-bedroom, 2-bath residence will be move-in ready by January 31st. The residences at One Mariners Landing feature beautifully designed living spaces highlighted by vaulted ceilings and a sophisticated palette of sea blue OR driftwood gray, highlighted by island whites and golden sand hues throughout. This specific unit also enjoys a private stairway entrance, a wall of westerly facing windows and access to a spacious outdoor deck. The open-designed living area features gorgeous washed gray wood flooring -- and the living space is anchored around a gourmet cook's kitchen with classic white shaker-style cabinets, beautiful Silestone® quartz countertops and stainless steel appliances (Bosch® or Jenn Air®). The full bathroom features white shaker-style cabinets, Kohler® plumbing fixtures, white subway tile and a tub/shower with Carrara marble herringbone tile accents. Other extras include central air conditioning, custom built-in closets, Intercom, parking and a separate 15'x8' lower level storage space. 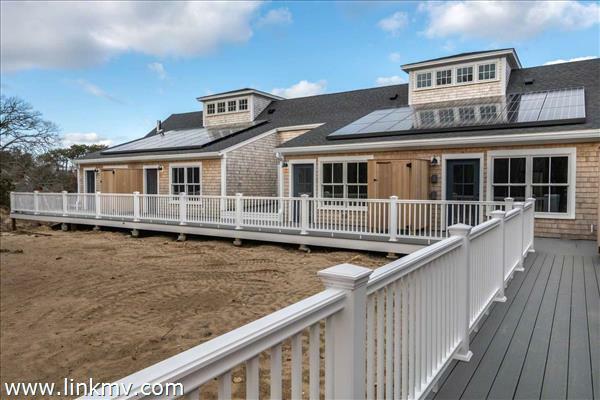 This new generation of luxurious island-style living is within walking distance to Edgartown shops and restaurants -- and is also on the shuttle bus route and bicycle path. Reserve your new home at One Mariners Landing today! NOTE: There are a total of eight (8) residential units available at One Mariner's Landing (comprehensive floor plans are attached).